By implementing SEO competitor analysis the website SEO analysis is improved as new ideas can be implemented or theorized. How to Implement SEO Competitor Analysis? These are few starting and important steps that you can take to get ahead of your competition. Finding your right rival is an important step. It gives an ideal ground to build a framework for your website. Websites having the same end goal as yours is considered as a rival. 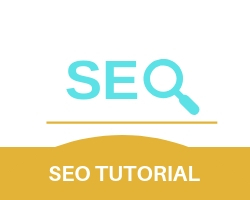 looking at their methods such as keyword quality, the content quality etc you get ideas on how to make your website better in terms of SEO. After you made your list of websites that match your end goal and by visiting their websites it gives you a clear perspective about what they have done right in terms of SEO and what mistakes they have made. A Backlink is a link a website gets from another website and as a result, higher the number of backlinks a website has the better it performs in a search engine. The backlinks have to be relatable and in coordination with the website content to be classified as white hat SEO. By studying your rival website’s backlinks you can find the reach and influence they have over the internet. Social media plays a huge role in the influence and the spread of a websites popularity and customer/visitor base. Looking at the ideas your rival takes on social media you have an idea of how he promotes his website. Using those ideas which you have learned you can use them on social media sites like Facebook, Twitter etc.